This text is a concise book designed to be useful for beginners and to be kept as a reference. 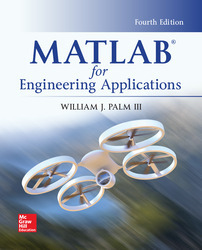 MATLAB is a globally available standard computational tool for engineers and scientists. The terminology, syntax, and the use of the programming language are well defined, and the organization of the material makes it easy to locate information and navigate through the textbook. The text covers all the major capabilities of MATLAB that are useful for beginning students.